Your computer’s USB 2.0 ports are perfectly adequate for connecting mice, keyboards, and printers, but if you need to connect external storage drives, USB 2.0 ports are underpowered in more ways than one—limiting data transfer speeds to around 25–30 MB/s, they can hardly be called “high performance”. 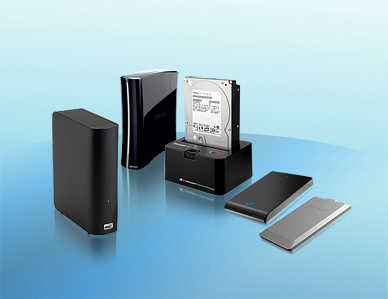 Most drives available today include USB 3.0 interfaces and offer significantly better performance than USB 2.0-equipped drives. Though you can connect them to your computer’s USB 2.0 ports, their performance would be reduced by as much as 85 percent! Don’t settle for slow performance—install a Sonnet Allegro USB 3.0 4-Port card to instantly add four SuperSpeed USB 3.0 ports to your system to take full advantage of today’s drives’ performance capabilities. Sonnet specially engineered the Allegro USB 3.0 4-Port card to provide extra power through its ports without the need for you to connect an auxiliary power cable. Delivering up to 10W of power per port, this Sonnet solution supports USB 3.0 bus-powered hard drives, SSDs, DVDs & Blu-ray™ devices without the need to connect an additional AC power adapter. The Allegro USB 3.0 card also supports the USB 3.0 charging specification that enables you to simultaneously charge and sync your iPad®, iPhone®, or other device that supports USB 3.0 charging! The Allegro USB 3.0 4-Port card features a PCIe 2.0 bus interface to take advantage of your computer’s fast expansion card slots. This card installs easily into any PCI Express® (PCIe) slot that supports a full-height card, features hot-pluggable and hot-swappable device connection support with automatic device configuration, and works with all USB-IF compliant USB 3.0 and USB 2.0, peripherals. Got a Thunderbolt connection, but no PCIe slot? The Allegro USB 3.0 4-Port card is ideal for use in any Thunderbolt to PCIe card expansion chassis, including one of Sonnet’s Echo Express™ or xMac™ Thunderbolt 2-to-PCI Express card expansion systems, offering full performance wherever you install it—now you can add SuperSpeed USB 3.0 charging connections any Mac with a Thunderbolt port. Install Sonnet's Allegro USB 3.0 PCIe into your computer to exploit the full performance potential of the latest hard drives and SSDs with a USB 3.0 interface.